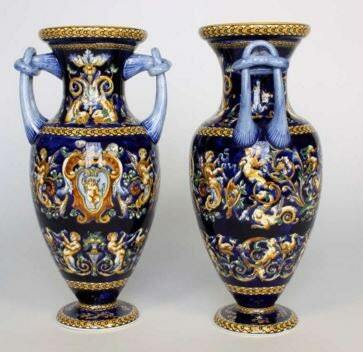 Pair of highly-decorative hand-painted faience two-handled vases in the Italian style by the French manufacturer Gien. 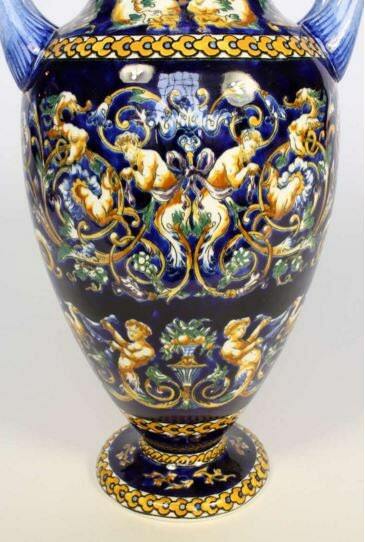 14 inches tall, 6.5 inches widest part of body of the vase. 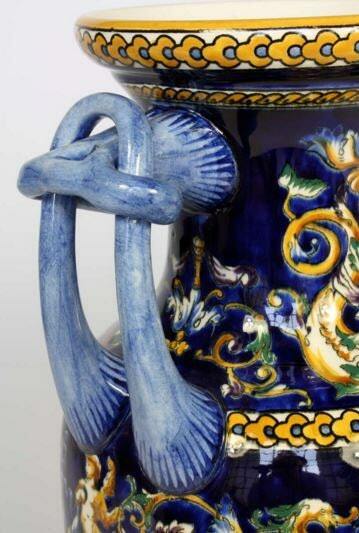 The vases feature a cobalt blue, "fond bleu" pattern, background decorated in the Renaissance style with elements such as putti, satyrs, mythological dolphins and other creatures, garlands and rinceaux. The Gien mark shown in the photos is indicative of the 1875 Export mark. These are made in France,hand painted and are considered Iconic pieces. 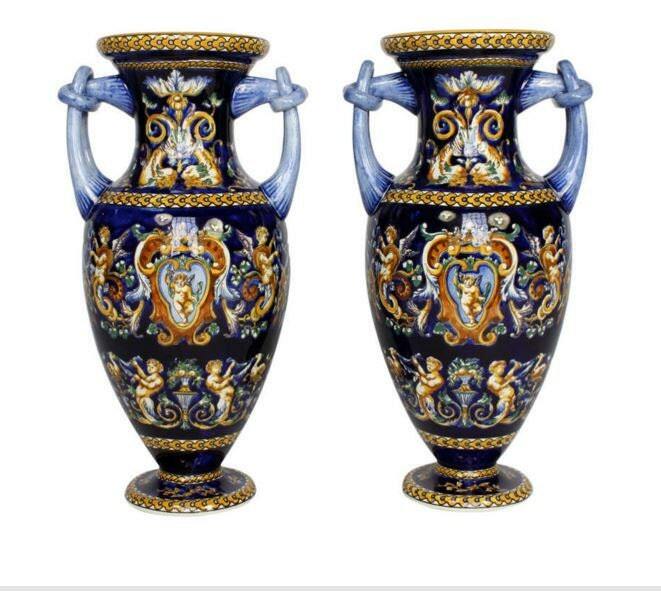 These beautiful vases are difficult to find, especially as a matching pair. I collect Gien, these are from my personal collection, I am downsizing and these are a nice Large set. Quantity says One, that means One Pair. 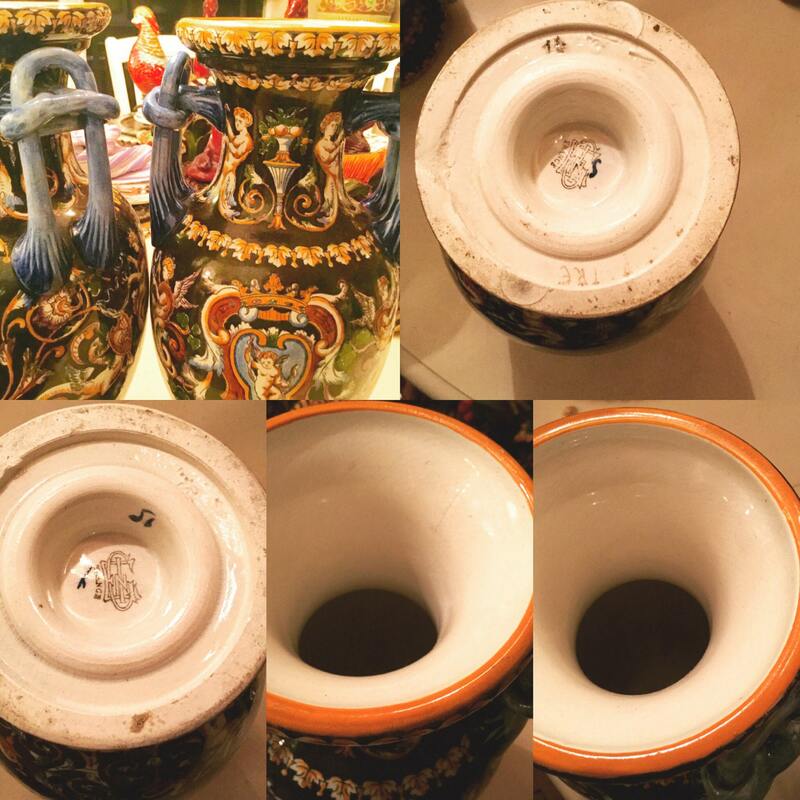 There is minor crazing on the inside of the vases as is shown in the photos. This crazing is age appropriate as these are 19th century pieces. Additional photos upon request. Convo me for additional details as well. Shipping will include professional packing and insurance for full value.